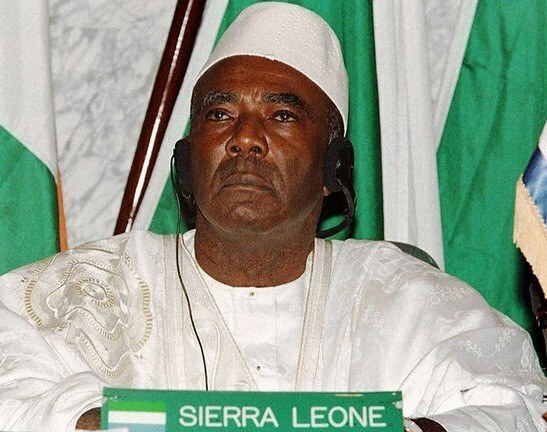 Tribute continues to pour in, from across the political spectrum in Sierra Leone, honouring the memory and legacy of Sierra Leone’s former president Tejan Kabba (Photo), who passed away last Thursday in Freetown, aged 82. In 1992, just a few months into the start of Sierra Leone’s rebel war, which was to become one of the worst humanitarian disasters witnessed by the world, young military officers at the war front in the east of the country, quickly realised that they were being deceived by a grossly corrupt and inept government back at the capital – Freetown. Those brave young soldiers led by Captain Valentine Strasser, Brigadier Julius Maada Bio and several others, turned their tanks around and headed for State House, where they were met with little resistance from a demoralised and poorly equipped state security. 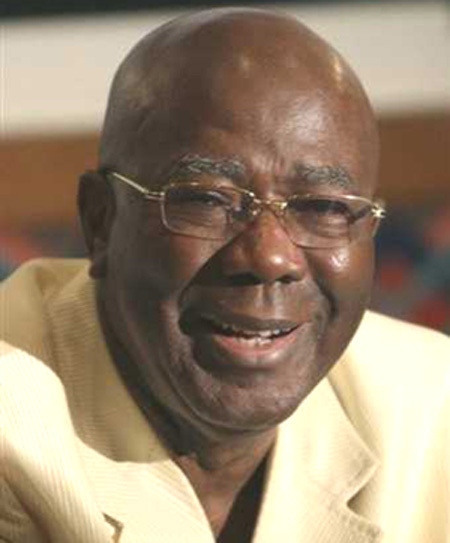 The young soldiers – regarded by most Sierra Leoneans as liberators from the war front, took over power, and suspended the one party state constitution that had been imposed on the people of Sierra Leone, by a brutal and corrupt APC dictator – Siaka Stevens, whose sole ambition was to transform the country into a communist state. But after four years of military rule, the forces of democracy and civil liberty in Sierra Leone, with the help of the international community, mapped out a strategy for the return of the country to civilian rule. 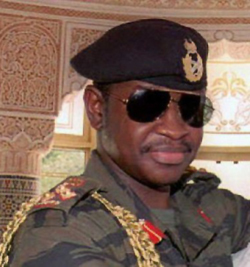 Whilst some of the senior officers and their civilian ministers and advisers in the military government were reluctant to relinquish power, it was left with Brigadier Julius Maada Bio who by then had assumed the presidency to take that bold decision. And on the 29th of March, 1996, Brigadier Julius Maada Bio handed over power to the newly elected president Ahmed Tejan Kabba (Photo), to establish the first post-war civilian government under the new, pro-democracy 1991 Constitution of Sierra Leone. In his tribute to the late president Dr. Alhaji Ahmad Tejan Kabba, Brigadier (Retired) Julius Maada Bio, reminisce about his encounter with the late president, and spoke of the difficult, though necessary process of returning Sierra Leone to a peaceful and democratic nation. With a heavy heart, I join fellow Sierra Leoneans, at home and abroad, to express our condolence to Mrs Isata J. Kabbah, the children and the entire Kabbah Family on the passing of the former President – Alhaji Dr. Ahmad Tejan Kabbah. For any family to lose a loved one is a great personal tragedy; but to lose a man whose dedication and commitment to the service of his nation has become the emblem of our country’s transition from war to peace, such loss is a national tragedy. The outpouring of grief and condolence messages at home and abroad have brought out his most enduring legacy – ending the war and establishing the building blocks of our country’s post-conflict recovery. As a young military officer in the mid 1990s, the first opportunity I had to meet him was in November 1992 as Chairman of the National Advisory Council, which had been established by the National Provisional Ruling Council (NPRC). (Photo: Brigadier Bio). 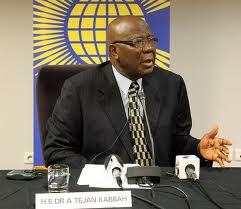 Dr. Tejan Kabbah had returned to Sierra Leone with enormous experience in public service – both national and international, and was revered by many. When I became Chief Secretary of State presiding over cabinet meetings, I had the privilege of holding discussions with him on many issues ranging from policy formulation, policy implementation and governance issues. He was a good listener and widely respected for his meticulous approach to issues. 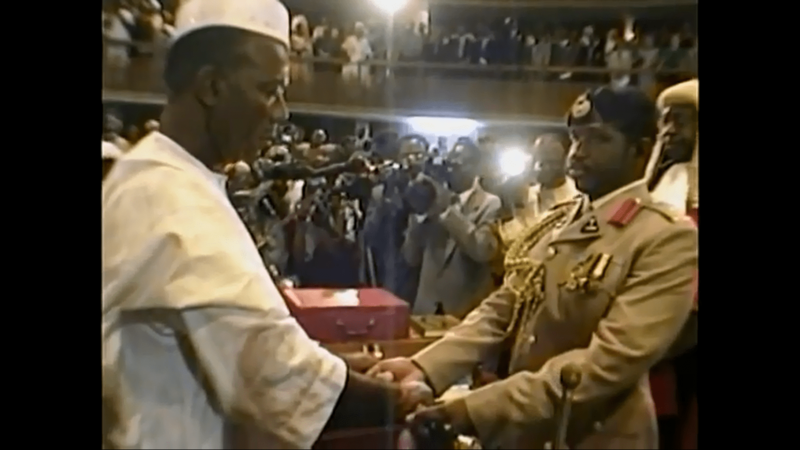 I can still remember that Historic Day, March 29th 1996 in the Chamber of the Houses of Parliament as I handed over the Presidential Staff of Office to the newly elected President – the late Ahmad Tejan Kabbah. He was filled with enthusiasm and optimism for our country, and I could sense his determination and vigour to make his own contribution to national development, especially the supreme task of bringing to a final end a war that had caused so much pain and suffering to so many innocent citizens of our country. To that end, despite all the challenges he faced, his commitment was unwavering and his endurance remarkable. After he declared the end of the war in 2002, he became concerned about healing the wounds that the war had created among the citizenry. This led him to establish the Truth and Reconciliation Commission to start the healing process. At the same time, the late President initiated many programmes not only to deal with the intractable problems of disarmament, demobilisation and reintegration of ex-fighters, but also provided assistance through social action, to help citizens and communities alike with post-conflict resettlement and recovery. He secured the peace; he promoted reconciliation; and cared for the welfare of all the people. But the legacy of the late President Ahmad Tejan Kabbah is not limited to just bringing the war to a close or to preaching reconciliation between perpetrator and victim; he presided over a country in which democracy had disintegrated and was now yearning for revival. For my part, by presiding over the holding of the elections in 1996, I had inaugurated the process of revival of which he was the immediate beneficiary. It was left to him to build on the new foundation and make it grow and flourish. Starting from the reintroduction of local government to establishing democratic institutions, he further solidified the framework for democracy to grow and flourish and for good governance. Indeed as a former President and a former Leader of the Sierra Leone People’s Party, he laid the socio-economic foundation and started the road map from peace to national development. 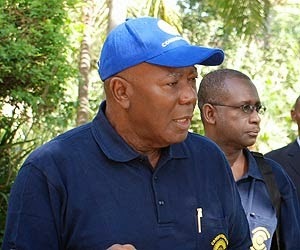 (Photo: President Kabba). Following his retirement as President in 2007, I had the privilege of meeting him several times and always found him to be welcoming and eager to share his experience. One such unforgettable experience was his delightful narrative of how glad he was to hand over power peacefully at the end of his second term of office, and admonished all leaders of Sierra Leone to always be great respecters of our National Constitution. What a peaceful and beautiful country Sierra Leone could become, if this admonition was heeded to by all concerned. 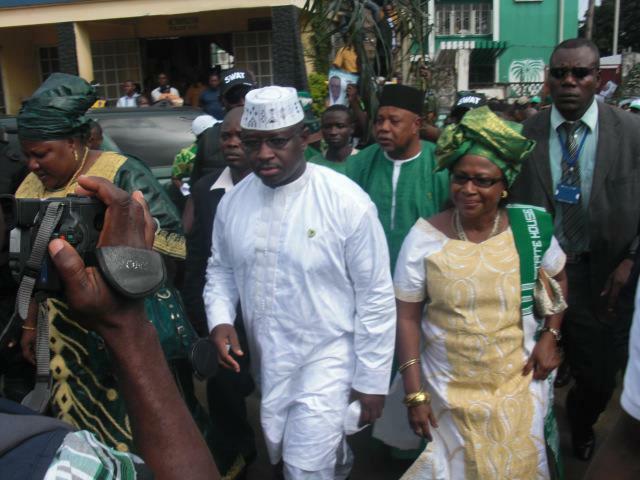 In the 2012 Presidential and Parliamentary elections, as the then Presidential Flag Bearer of the SLPP, I had the opportunity of having the late President and former Leader of the Sierra Leone’s Peoples Party with me, during my campaigns in the Kambia District and also in Karina in the Bombali District. No doubt his presence at those campaign rallies, despite his then ailing health, was a great demonstration of his commitment to the success of our party SLPP. Therefore, as we all mourn as a nation the passing of this great leader and mentor, we must all zealously guard his abiding legacies of peace, democracy and good governance for Sierra Leone. It is an obligation for all Sierra Leoneans – no matter your political affiliation. To Mrs Isata J. Kabbah, the surviving children and the entire Kabbah Family, whilst you grieve for this personal loss, I hope you will all take solace in the fact that the late President Ahmad Tejan Kabbah will always be remembered as a national emblem of our country’s transition from war to peace, and as an icon of democracy and good governance.